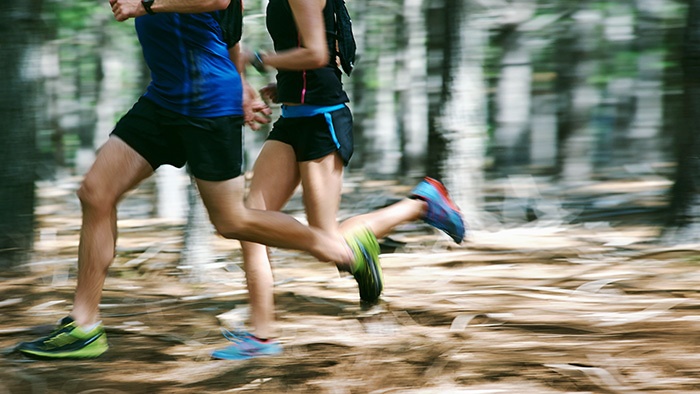 “Going for a run” means something different to everyone. Mileage always varies, and there are myriad things to focus on; from form and speed, to distance and strength, it can be daunting to try and figure out which factors will give you the best results. Luckily, a simple mix of speed work and endurance running will kick off some key physiological adaptations—and (done properly) will naturally help refine your form. Let’s dive in to what that looks like in practice! First, let’s take a look at what it means to “sprint.” While competitive running defines a sprint as 400m and under, we’re going to treat a sprint as a fast, 10-30 second effort, since it’s easier to measure time than to measure distance on a training run. Sprinting (or speed work) is useful in training because it taxes our anaerobic system and increases our ability to buffer and process lactate. Speed work also creates high-intensity muscle fatigue by increasing the demand for power. 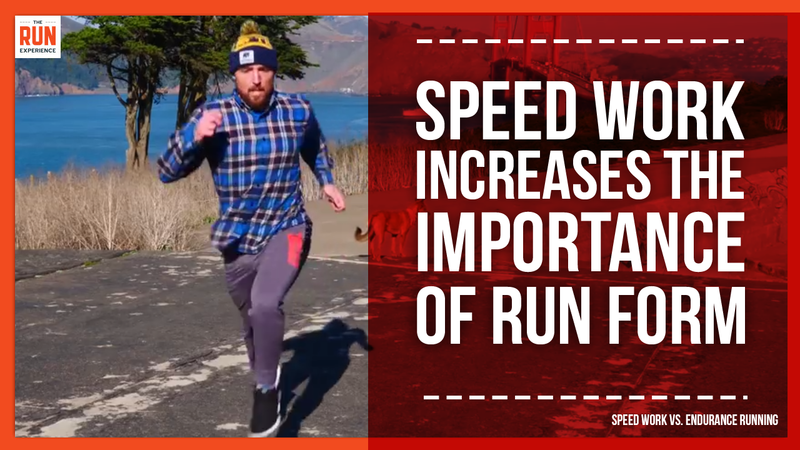 Also, because these are short bursts of effort, you need to arrive at correct run form faster, locking in proper foot strike and arm swing to quickly increase your speed. In terms of foot strike, that means we need to be sure our weight is coming down in the middle of our foot, and that we’re not rolling over towards the inside or outside of the foot. 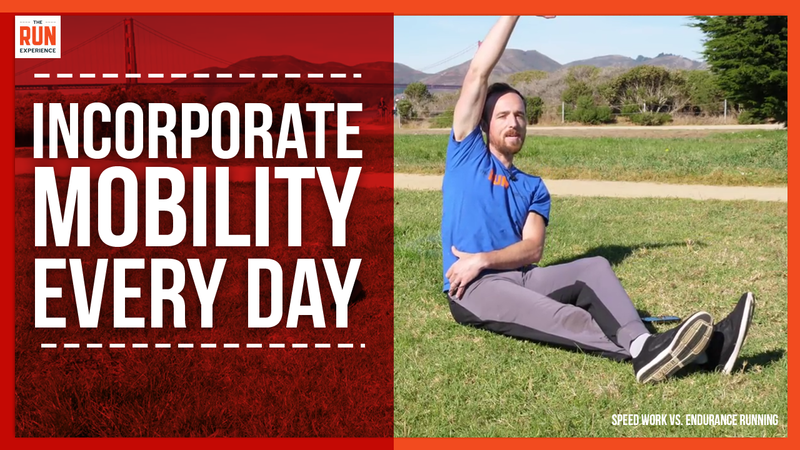 As for our arm swing, we want to keep it parallel, not letting our arms cross over the midline of the body, as that can put unnecessary strain on our back and shoulder muscles. Good, upright posture and a tight core will help with both of these, and should always be among our top priorities when we run. Speed and power aside, it’s also important to think about your form during speed work to avoid injury. Sprinting forces your muscles to do very hard work in a short amount of time, and when your muscles are working harder, they are more vulnerable to injury. Focus on keeping your movements controlled and efficient to help avoid tweaking anything during speed work. By contrast, long efforts (upwards of 60 seconds) increase your endurance by creating sustained low-intensity muscle fatigue. Distance running works your aerobic system, and increases your body’s ability to deliver oxygen to working muscles. (Check out our tutorial on breathing efficiency here to help optimize your oxygen capacity). In addition to testing the endurance of your running form, long runs require you to work on stabilizing your breathing, which (again) good posture can help with. 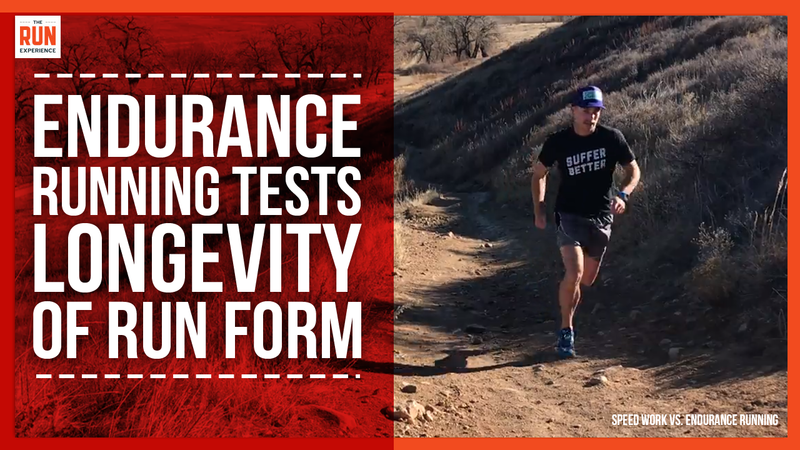 To test your endurance running form, simply take note of where you’re sore after a long run. Sore abs, glutes, hamstrings, and quads are all good indicators of proper running form, but sore muscles in your back, neck, and shoulders likely indicate a hunched posture, and/or a twisted arm swing that crosses over your midline. Sore feet and ankles could be the result of an uneven trail, but may also indicate an uneven foot strike if the soreness occurs after a road run. Because distance running puts your body under stress for longer, it can increase injury susceptibility gradually over time. These injuries will be more subtle than acute, but can take longer to recover from. Take note of any soreness that doesn’t go away after a day or two of endurance running—you might be due for some new shoes or a gait analysis. In addition, be sure to include at least one day of strength training per week. Stronger muscles are less susceptible to injury, and the more we strengthen the muscle groups that support correct running form, the more natural that form will feel. By maintaining a good form during both speed and endurance work, those muscle groups will fire up as well, and eventually you won’t even have to think about your form! 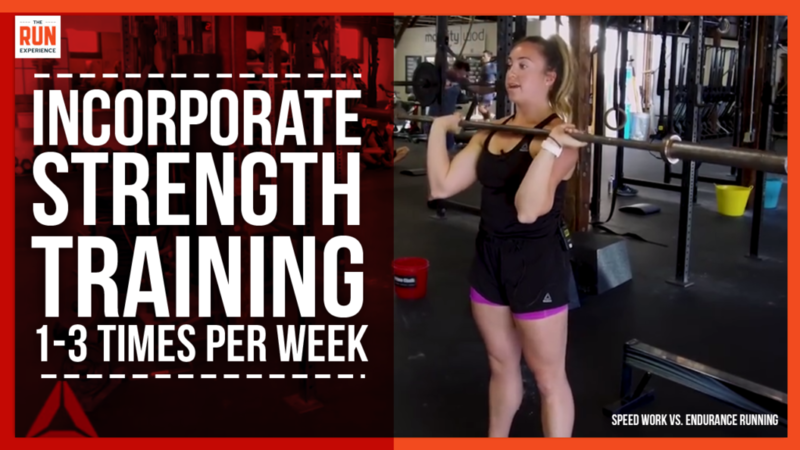 If you’re not sure exactly how to strength train, try either this workout or this one to get some initial ideas. So how do we combine these all ideas to reach our peak performance? It’s ideal to practice a relatively equal combination of endurance running and speed work, combined with daily mobility and a day or two of strength training per week. You can do as few as two runs a week and maintain fitness, just make sure that you don’t slack on your strength and mobility, which will ultimately enable your most efficient running form. Incorporating just one longer run and one day of speed work (focusing on 10-30 second sprints) per week will help take your running to the next level. Holly Martin is a San Francisco-based running coach and personal trainer. With a 20+ year background in dance, Holly brings a strong focus on technique and mobility to all of her coaching. Currently, she trains clients at Midline Training and Nfinite Strength, and coaches online with The Run Experience, an online training community for running training programs and workouts.